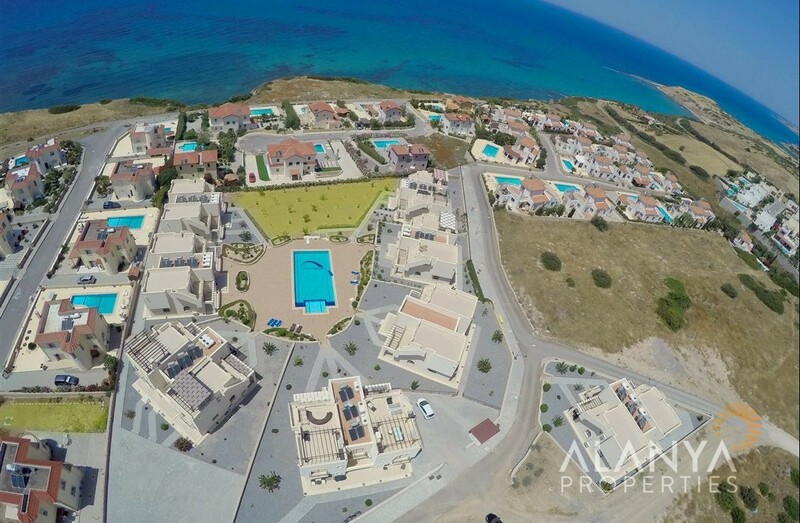 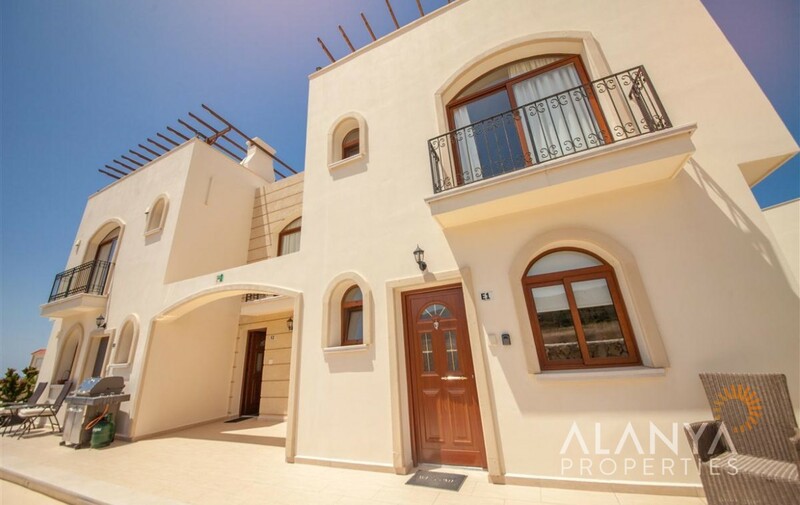 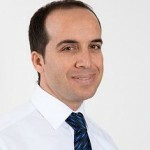 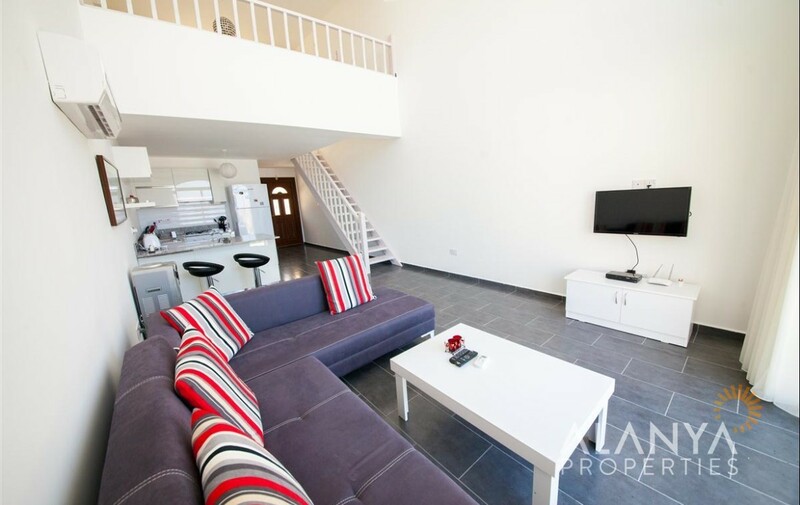 Apartments for sale in North Cyprus, Bahceli. 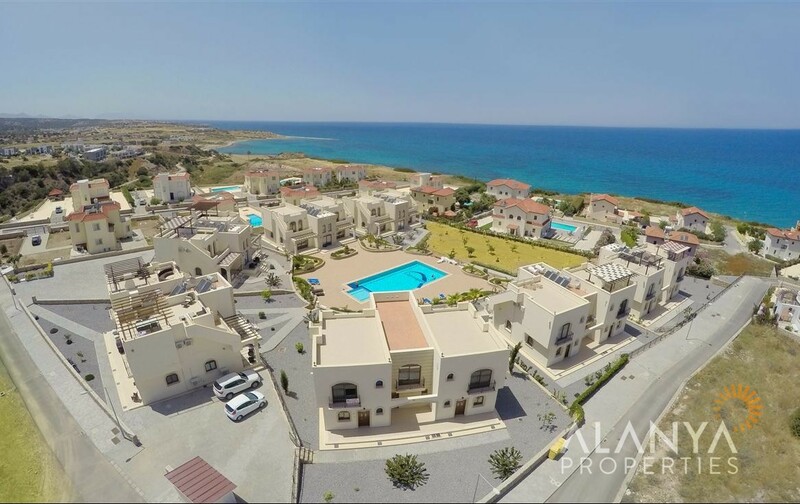 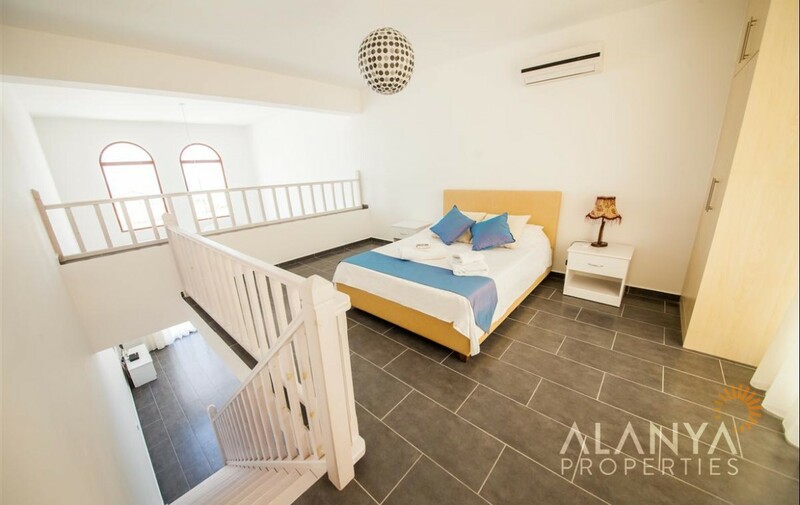 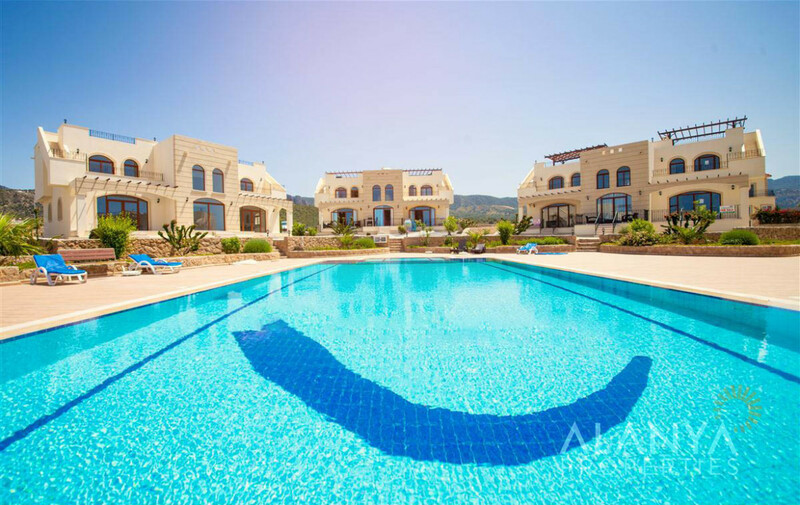 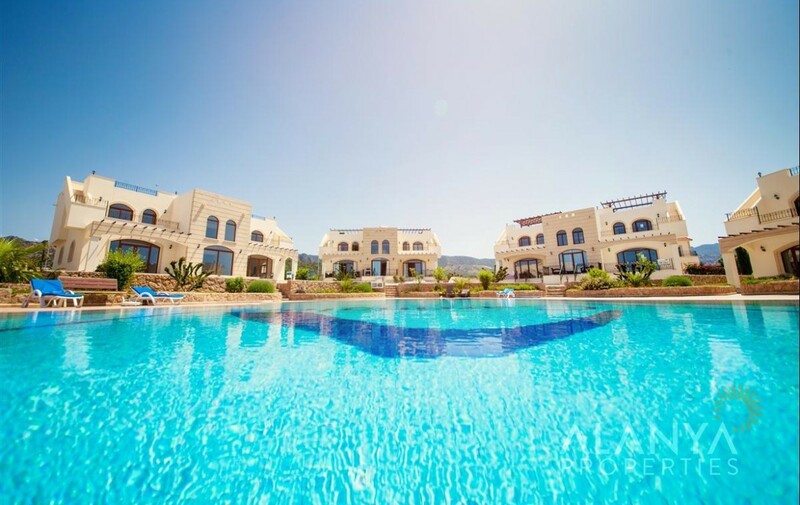 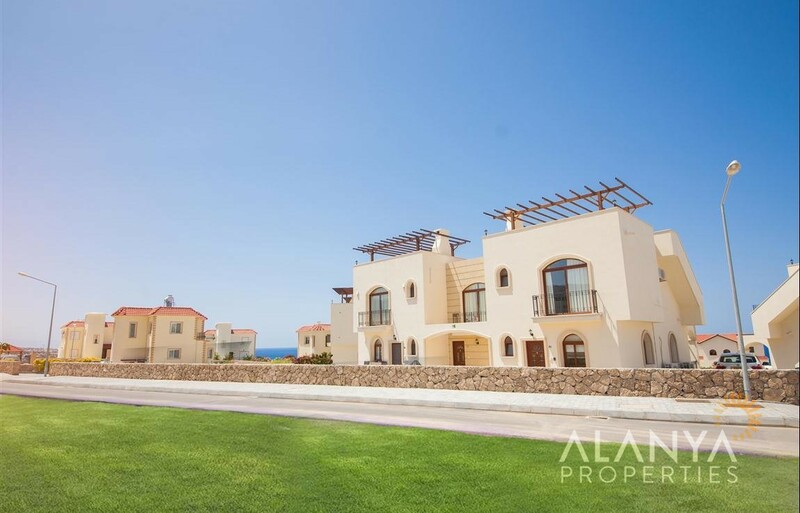 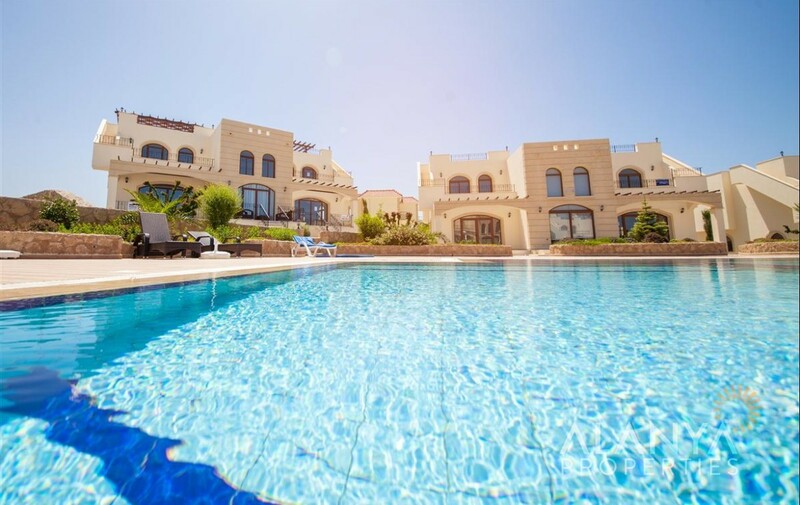 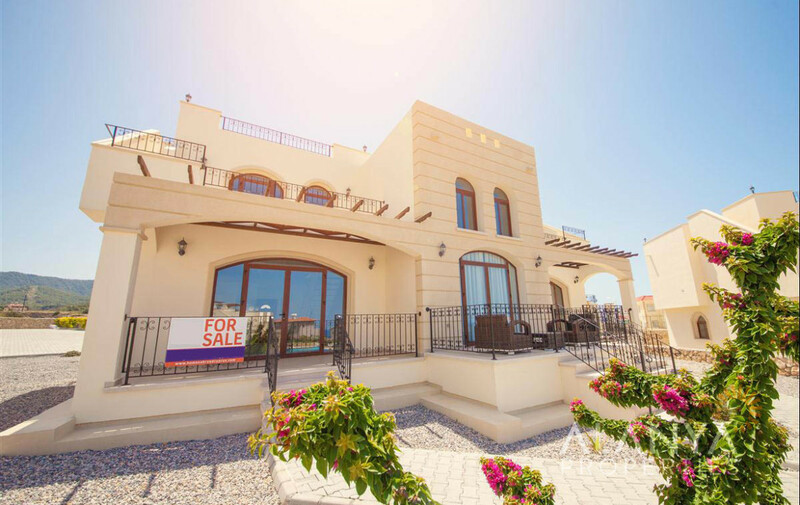 This complex consist of 24 apartments and features beautifully landscaped gardens, a communal swimming pool and recreation area, private parking and spectacular sea & mountain views. 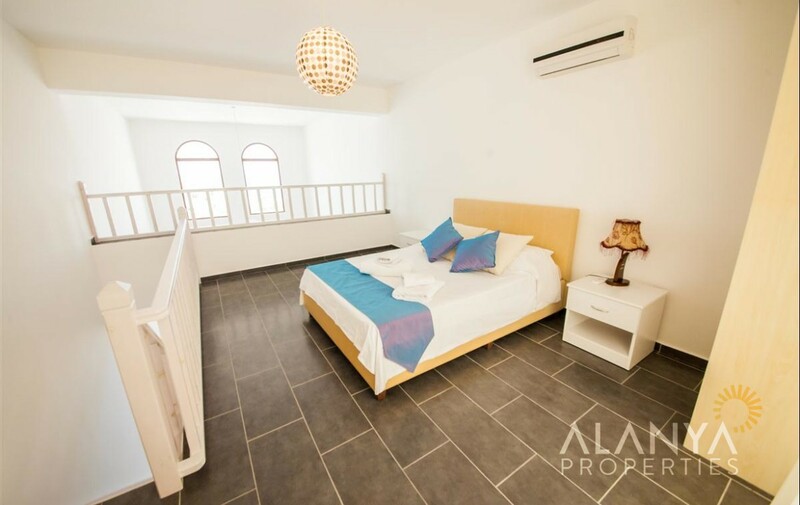 1 bedroom apartments and 2 bedroom apartments are available in this nice complex. 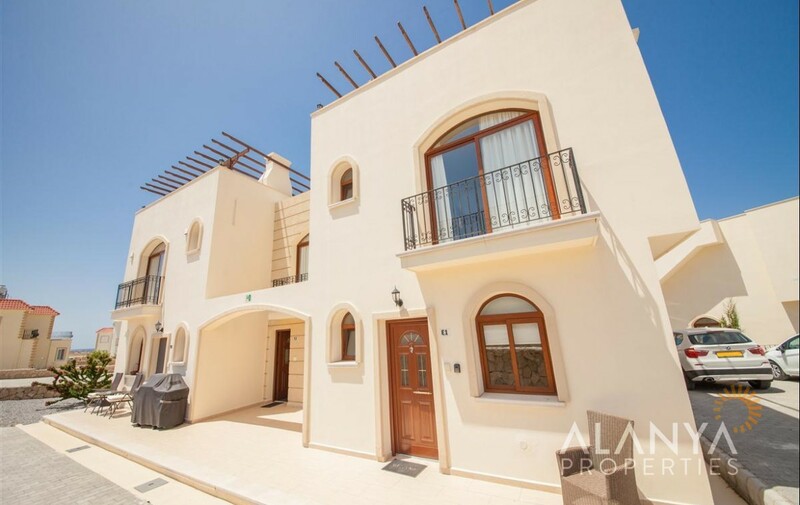 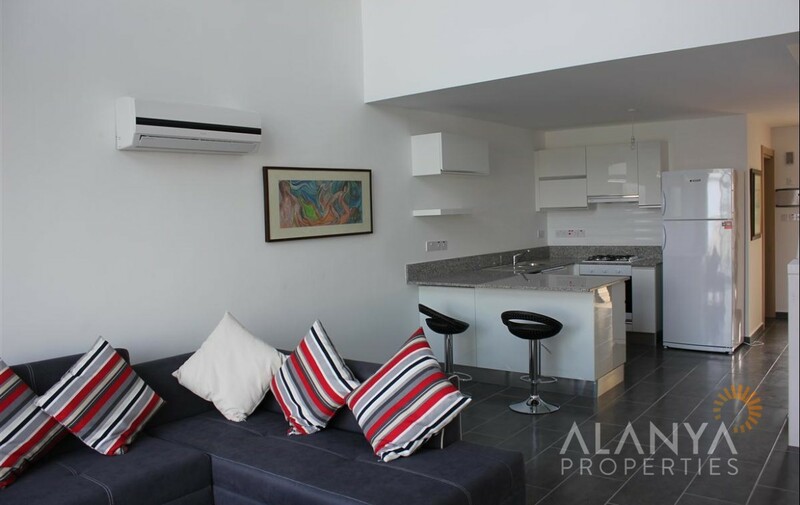 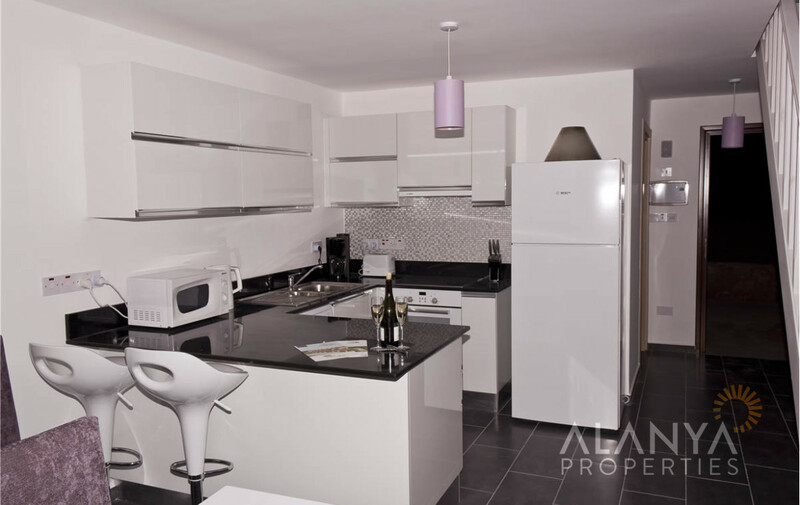 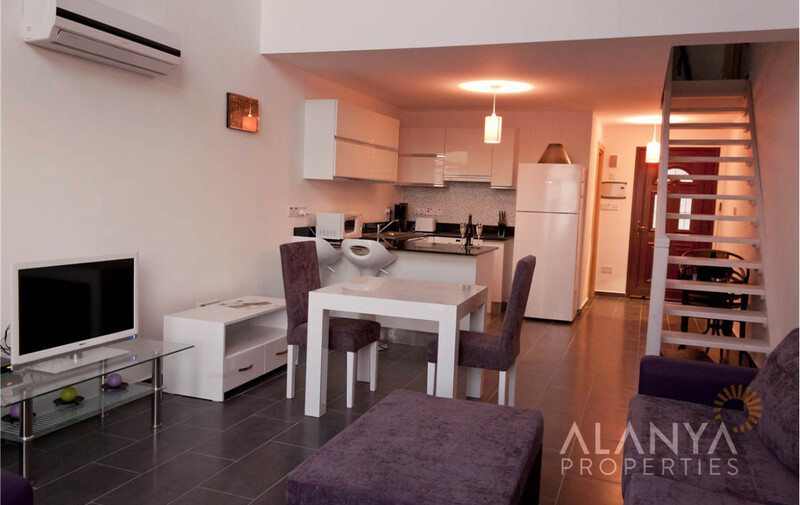 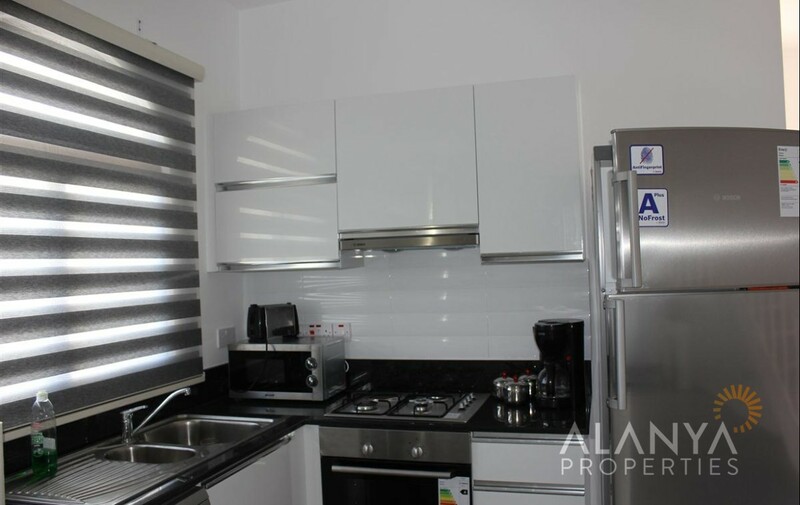 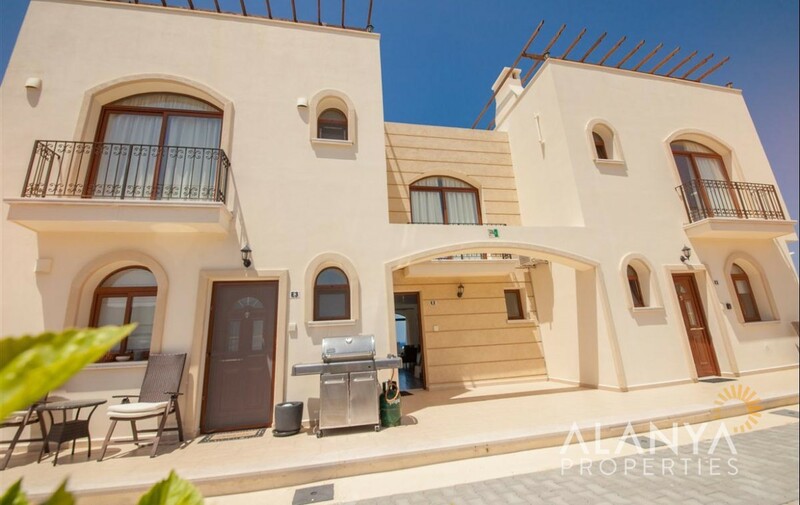 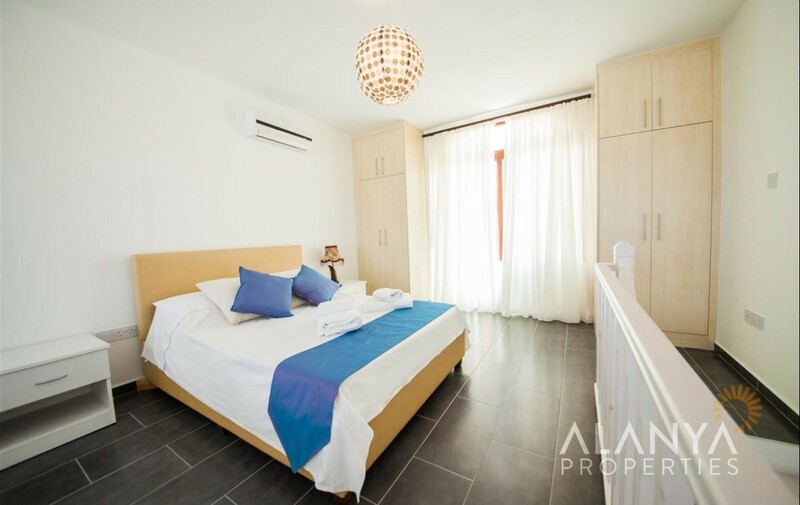 1 bedroom apartments (60 m2) in this complex are in high demand. 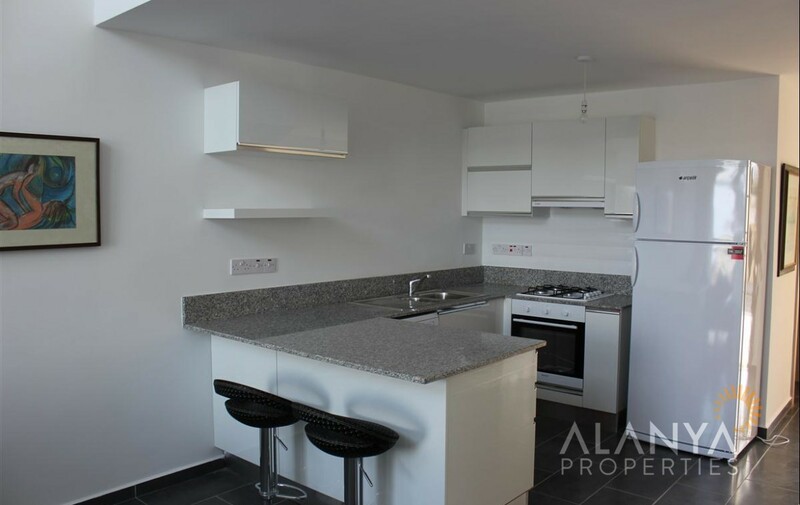 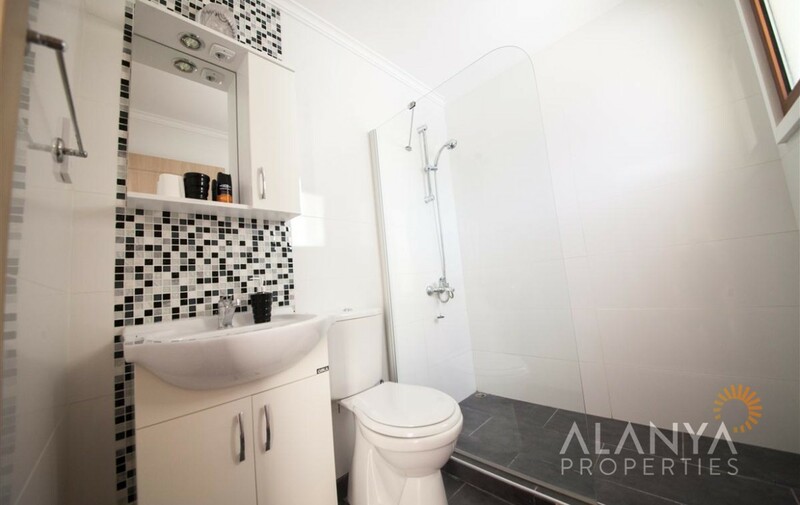 The properties feature large fitted kitchens with a master bathroom on the ground floor. 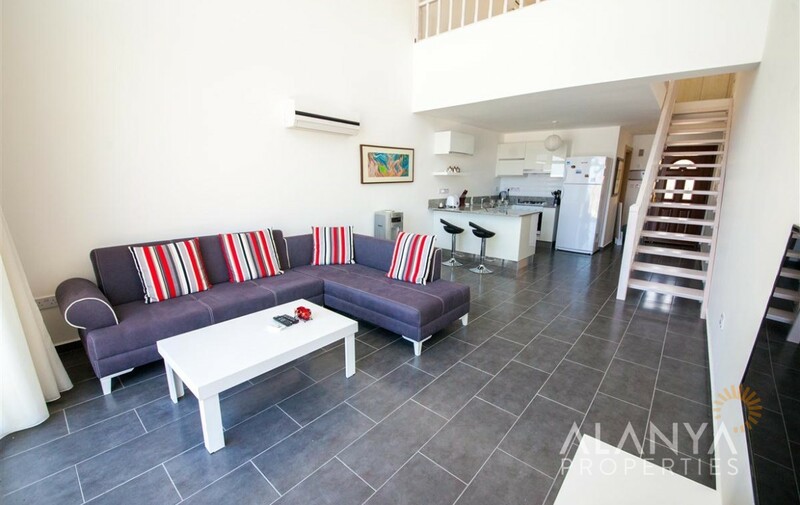 An open plan lounge opens out to the communal swimming pool and landscaped gardens through large French doors. 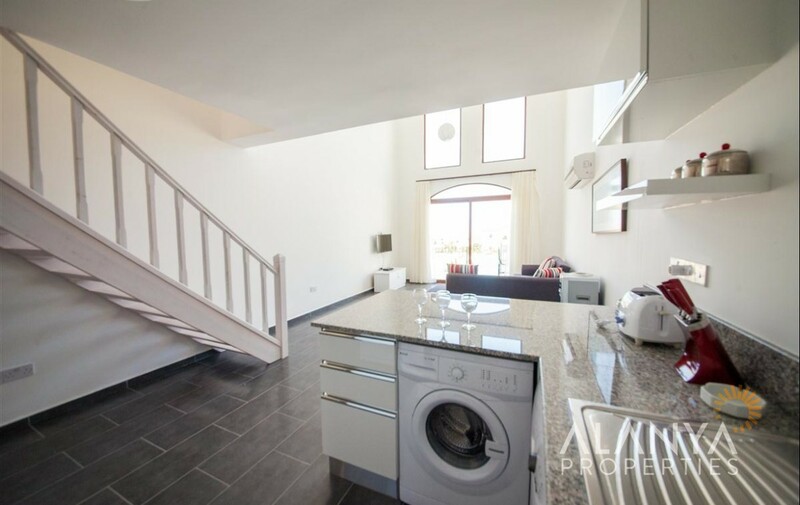 On the 1st floor you will find a bedroom with fully fitted wardrobes and open to the lounge below in a gallery landing style. 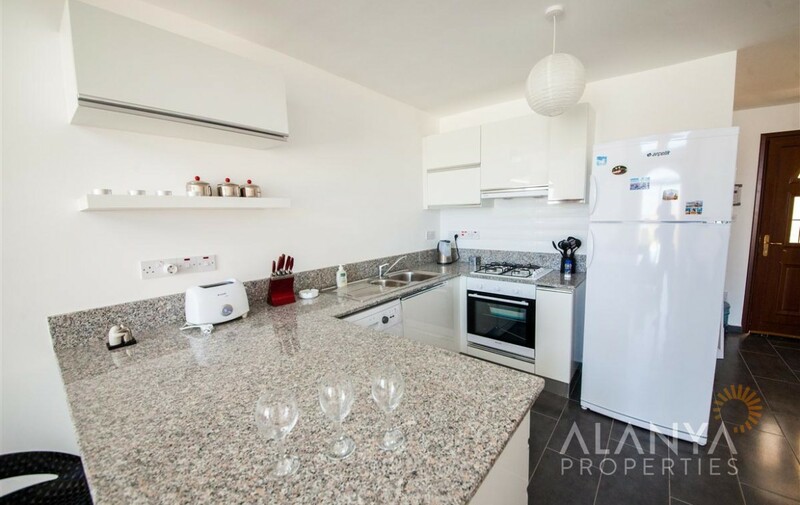 All the apartments have a benefit from a pre-installed satellite and Internet system, TV and telephone points, landscaped gardens and a large communal swimming pool. 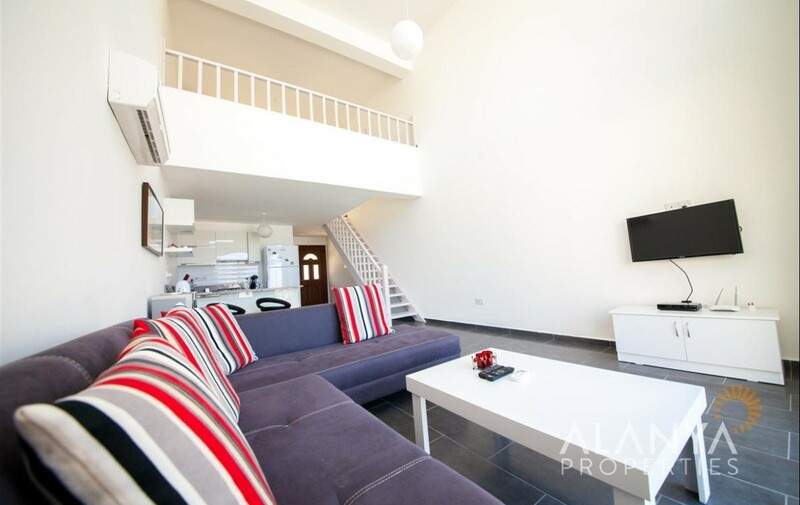 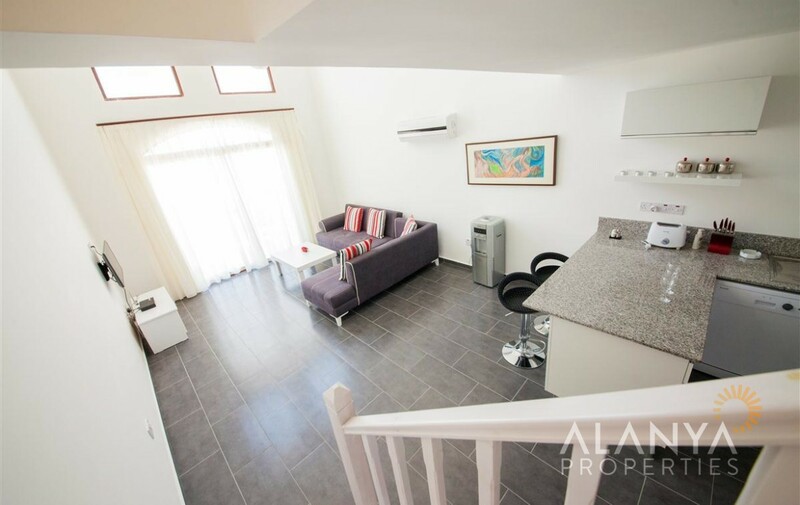 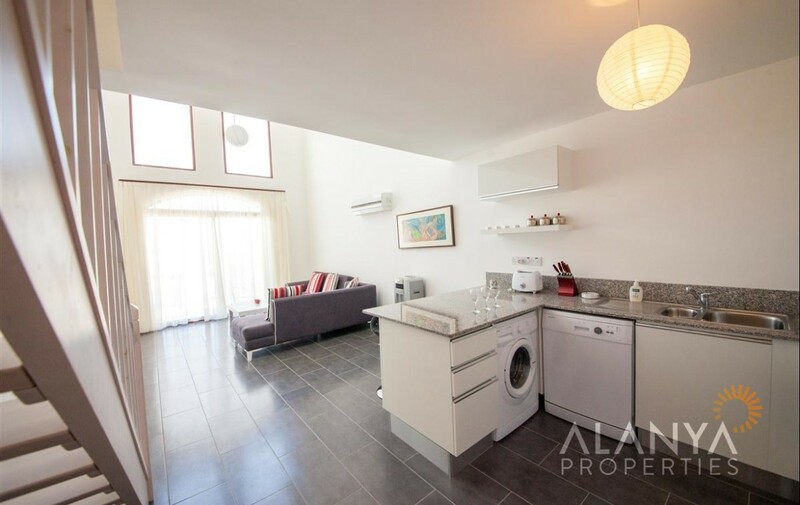 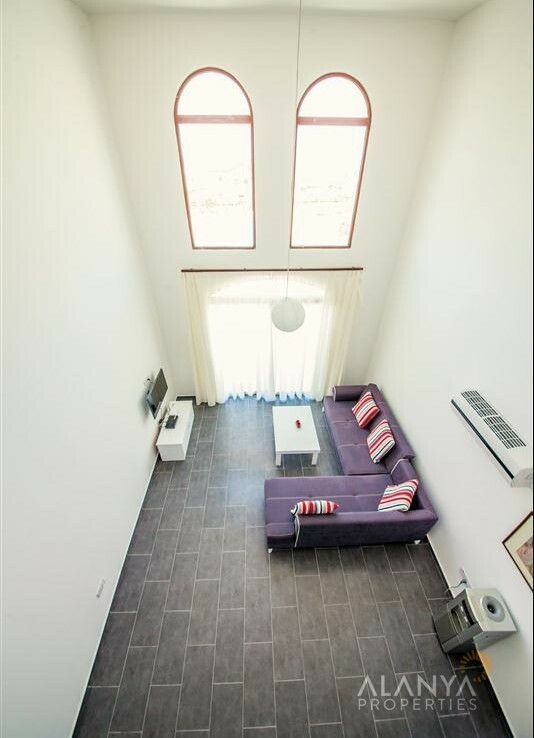 2 bedroom apartments (100 m2) on three levels and offers unusually superior living comfort The two bedroom apartments feature large fitted kitchens with a utility room, a guest toilet and large French doors leading out onto a terrace overlooking the communal gardens. 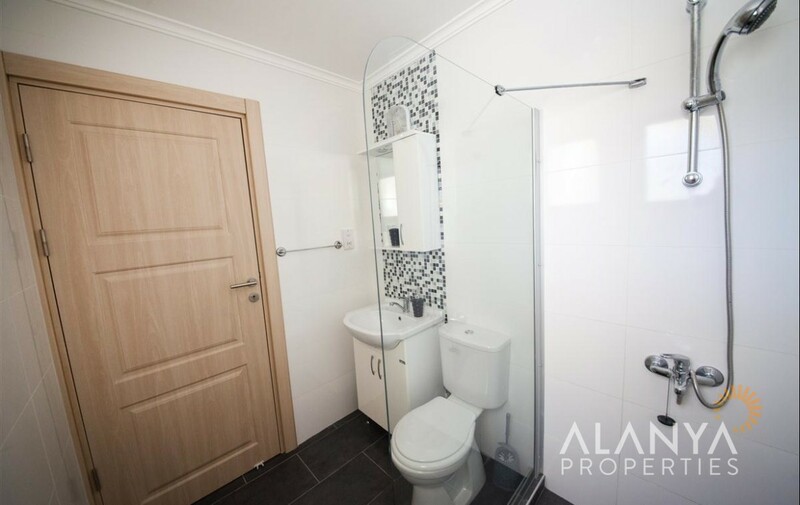 On the 1st floor you will find the bedrooms with fully fitted wardrobes, a master bathroom with first class porcelain furniture style units. 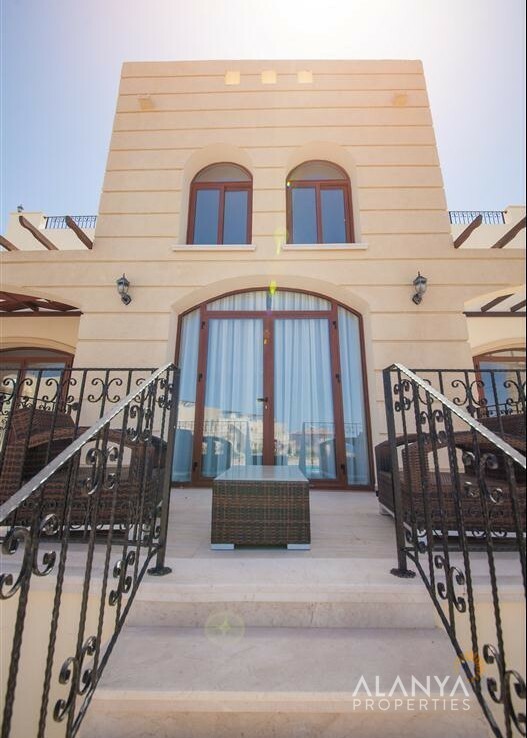 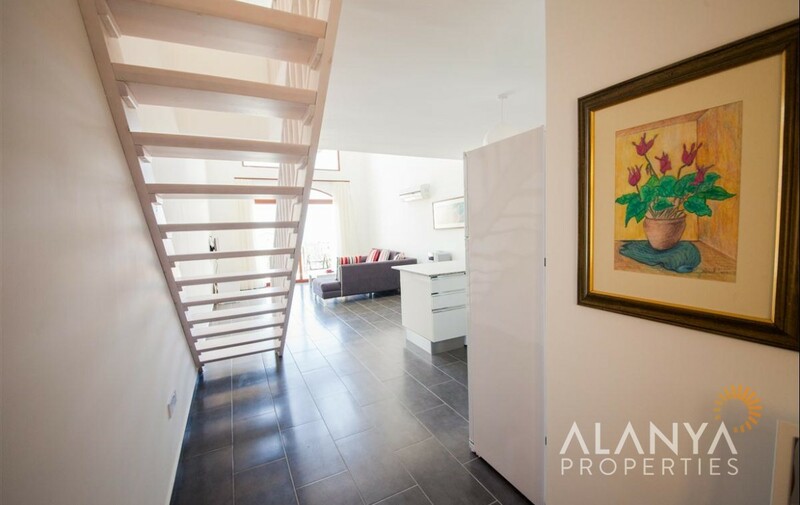 From the first floor you have a private terrace, which leads to a staircase onto the upper private roof terrace. 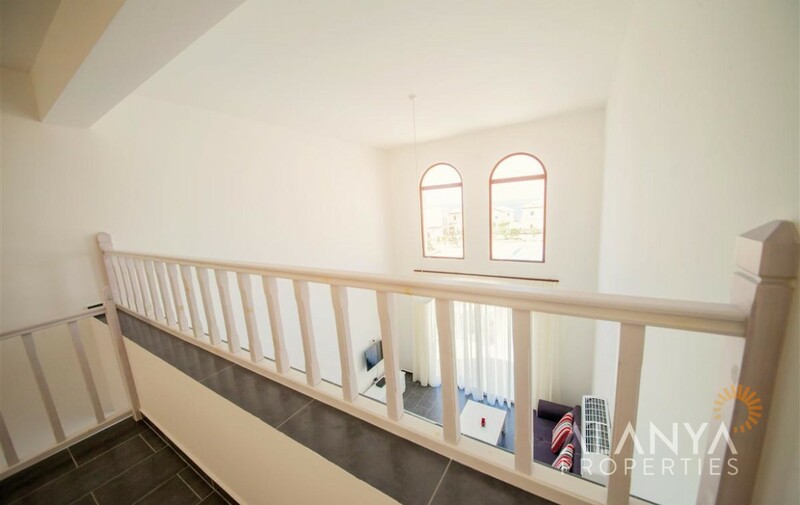 The panoramic views from the roof terrace are simply breath taking, water and electric points will be fitted here as standard. 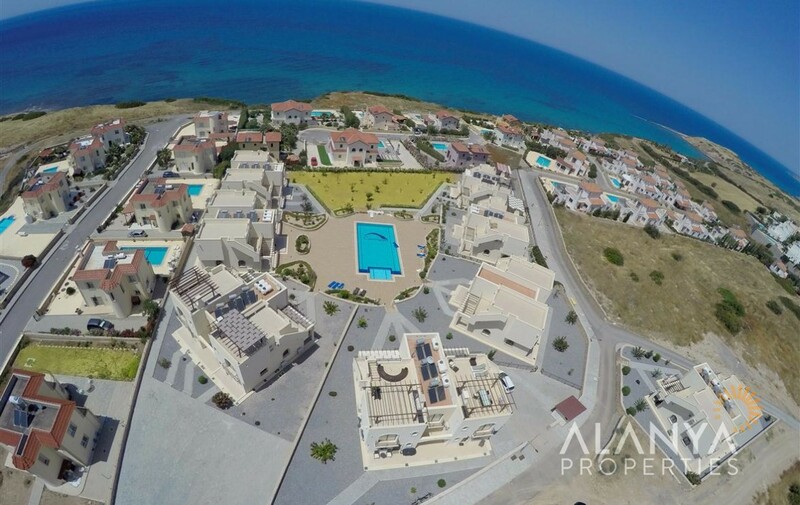 For more informations and details for your property in North Cyprus contact us, Alanya Properties.